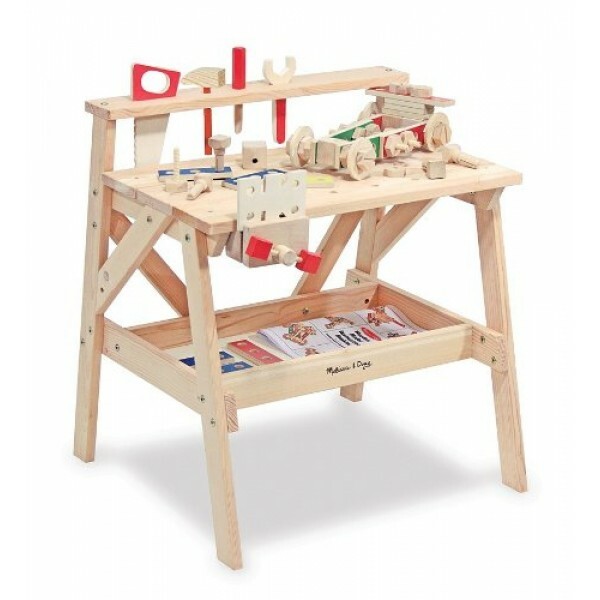 This fun workbench building set looks just like a miniature version of a real bench — but it's just the right size for preschoolers! 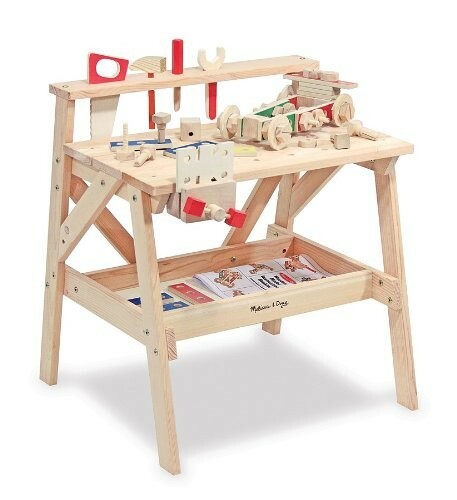 The set includes a functioning vise, a tool rack, wooden tools, and hardware. Using these simple pieces, kids can assemble a variety of projects from an illustrated building guide, or start experimenting to see what they can come up with on their own. The included storage shelf ensures that all the bits and pieces will be handy whenever the inspiration to build strikes. The workbench looks like a miniature version of the one you might already have in your garage or basement workshop. At 20 inches in height, the flat, sturdy, spacious bench is designed for kids to comfortably stand and work. A storage tray across the bottom holds projects in place. A hammer, saw, sawing board, wrench, screwdriver, vise, and assorted hardware for building are included, so kids can imitate their parents and develop important problem solving skills.